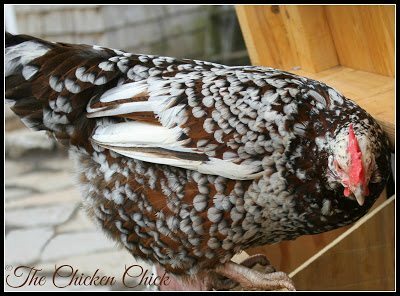 There are times when it may be necessary to limit a chicken’s ability to fly and wing clipping is a means to that end. 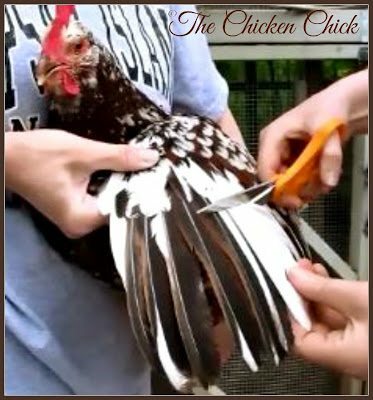 Whether to clip a chicken’s wings should be carefully considered by weighing the pros and cons as the disadvantages are significant. When done properly, wing clipping is painless. 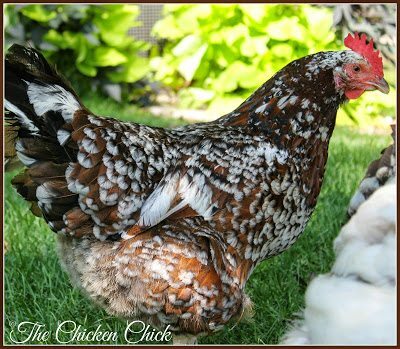 The longest feathers on a chicken’s wing are its primaries, also known as primary wing feathers or flight feathers. Coverts are the shorter wings that cover/overlap the primaries. Secondary wing feathers, which are located behind the primaries, are not routinely clipped. 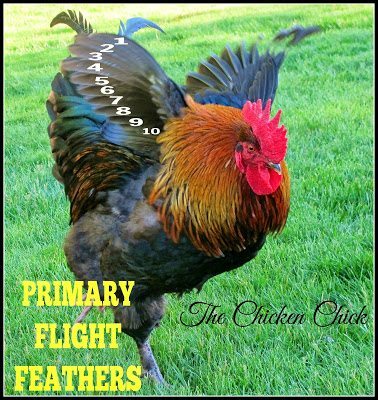 Primary wing feathers may be referred to as flight feathers or primaries. 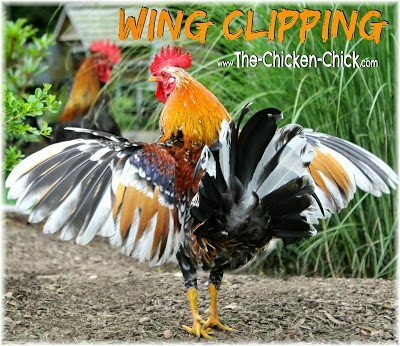 Clipping the flight feathers of one wing limits a chicken’s ability to fly by interfering with balance. 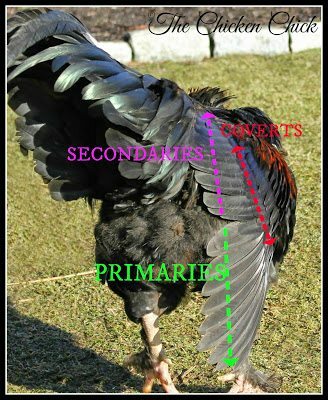 There are ten primary wing feathers as shown below fully extended. 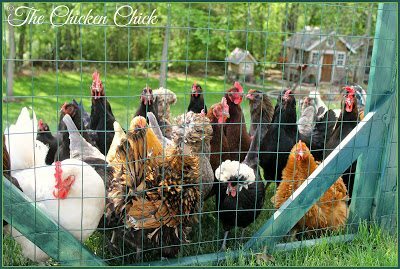 Some chickens find the grass greener on the other side of any place they are, but there are times when it is necessary to confine them for their own safety (busy road, dogs next door, etc) or to preserve a garden. Wing clipping a way to limit a chicken’s ability to fly. Safe, painless way to ground a chicken. Clipping flight feathers disrupts a bird’s balance, which can prevent flying over fences intended to safeguard it. Temporary: feathers will grow back when the chicken molts. Hampers bird’s ability to use flight as an escape mechanism, leaving chicken vulnerable to predators. When done improperly, can result in bleeding. Newly emerging feathers have a vein-filled shaft that will bleed if cut or injured. 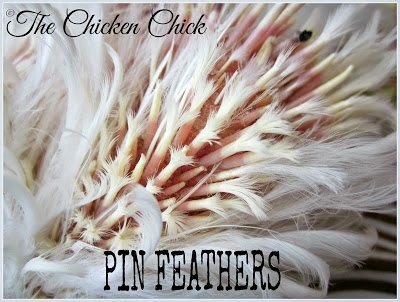 Avoid cutting any of these pin feathers during wing clipping. For maximum safety and efficiency, a partner should be roped into helping with wing clipping. Operator 1 holds chicken’s feet in one hand, pressing chicken close to body while fanning the wing feathers out with the free hand. Operator 2 locates coverts and primaries. Using sharp, long scissors, Operator 2 clips primary flight feathers just BENEATH the coverts. 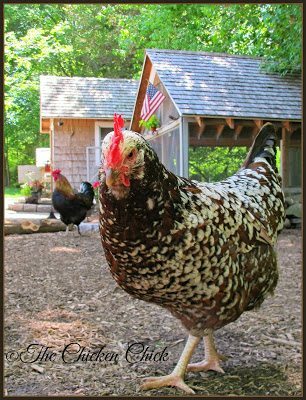 Some chickens are more ambitious, spirited or motivated than others to clear a fence, which may necessitate the clipping of primary feathers on both wings, the clipping of secondary wing feathers and/or installing overhead netting in the enclosure. Wing clipping has not stopped Kate from hopping up and over a four foot high fence despite her size. I am not willing to clip secondary feathers or coverts, however. She isn’t in danger when she is on the other side of the fence, but she does make a mess in the mulch in the front of the house. I can live with it. We have a seven foot fence around the yard. Our chickens are now three months old and love to flap their wings and run/fly. Do we need to worry about them flying over a 7 foot high fence? Thank you for the wealth of knowledge you share. After reading the pros and cons of wing clipping, I am going to opt not to clip. Thanks again! I'd love to win this for my gremlins!